Rather than being thought of as a separate environment or level, the 9-12 level (Upper Elementary) can be thought of as a continuation of the 6-9 level. The students are still in the second plane of development but will move away from it by the age of 12. At this level, the teachers commonly work in teams. Presently, two teams consist of two general education teachers, an Integrated Co-Teacher, and a teacher aide. One team consists of two general education teachers and an aide. As in the lower levels, the classrooms are not necessarily delineated by areas, but the shelves remain so. Materials seen at both 3 to 6 and 6 to 9 are also found at this level to not only reinforce the familiar, but to teach more complex content. At both 3 to 6 and 6 to 9, the constructive triangles were used for exploration and construction of shapes such as quadrilaterals, whereas at 9 to 12 the same triangles are used for intense study of equivalence. Grammar boxes at 6-9 give way to the advanced functions of words. The geometric cabinet with its wooden insets and frames is now replaced with a larger cabinet with metal insets used to explore complex relationships and even the Theorem of Pythagoras! 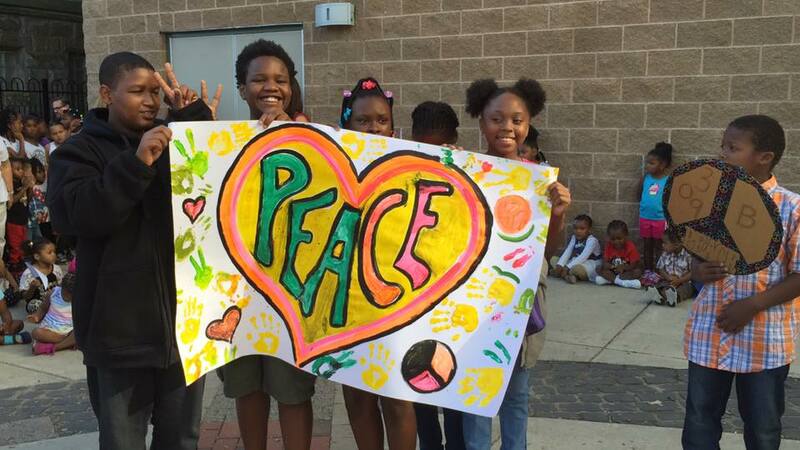 Students at our annual peace march. While lessons with materials are still common, the movement to abstraction (paper and pencil) is even more so. 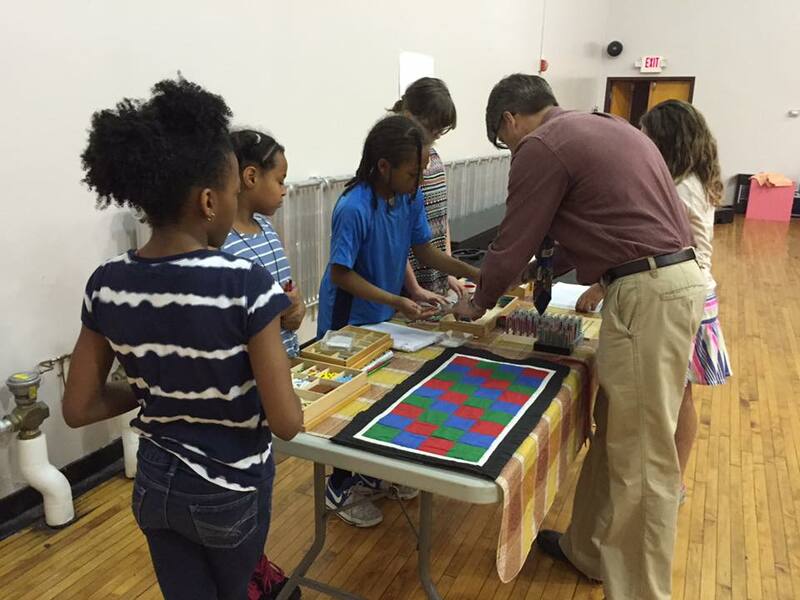 Students at this level (and at 6 to 9) may not need to use the checkerboard to solve large multiplication problems. The long uninterrupted work cycle remains and the same lesson groupings seen at the lower levels will also be seen here. With teacher agreement, peer tutors may be observed moving in to other classrooms to assist students with Montessori materials. The high point of the 9-12 experience is undoubtedly the annual camping trip to Whispering Pines in Franklinville, NY. 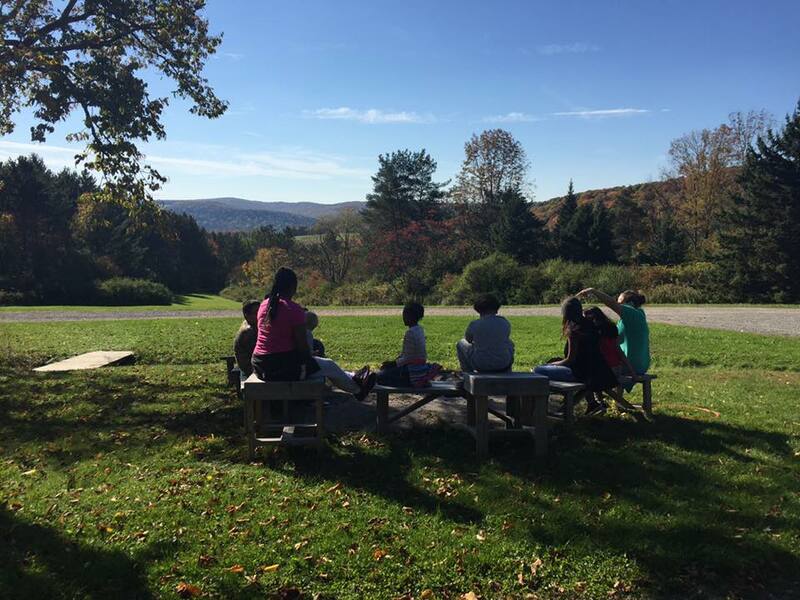 This overnight trip, usually occurring in the fall, is a great way for the children and teachers to get to know each other better and to strengthen their communities.